Memeo Connect for Google Docs was one of the first applications to provide native access to Google Docs from both Desktop and Mobile applications. This project began as a prototype that was requested by the the Google Apps team and was made possible through close collaboration with Google and early access to unreleased Google Docs API’s. The release of the Memeo Connect desktop application in January 2010 coincided with the announcement of the iPad. Having architected the Connect desktop application to use an Objective-C based data and sync layer that was confined to the OS X Foundation framework, I was able to port Connect to the iPad in a matter of days after the release of the iPad SDK. Following that I built an entirely new UX for Google Docs users that was available as a day-1 iPad launch app in April 2010, titled Memeo Connect Reader. 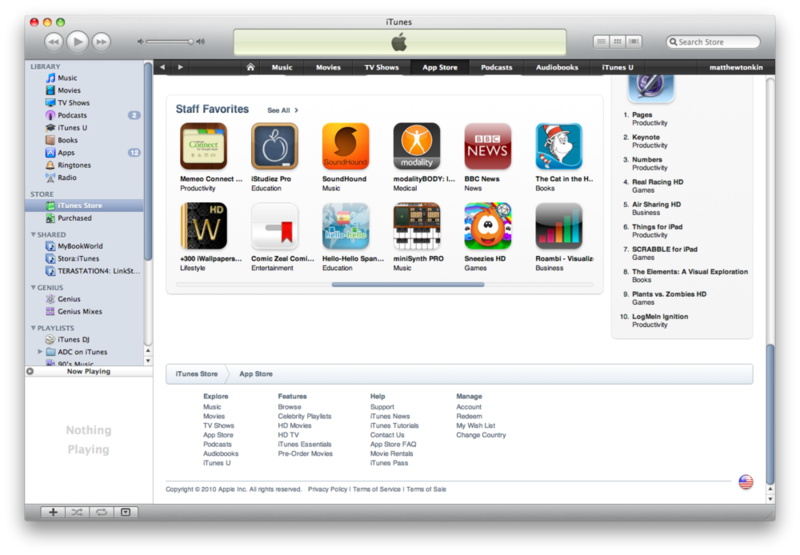 After being featured as a Staff Favorite on the iPad App Store, Memeo Connect Reader was the #3 Top Free iPad app. Connect for Google Docs was discontinued following Google’s decision to release a native Google Docs client for Mac and iOS, however a video overview is available. I wrote all of the iOS code for this application. The Google document sync library was cross platform (OS X & iOS) and was written by a member of our Mac engineering team. This was a great project to work on because it was envisioned, designed and released in the window between the iPad announcement on 27th January 2010 and the iPad launch app submission cutoff on 27th March 2010. Memeo Connect Reader was featured as a Staff Favorite in April 2010, only 2 weeks after the iPad app store launch and was 3rd on the top free iPad Utility Apps chart. After launch I was invited to be the first guest blogger on the Google Apps Developer blog and was a guest speaker at Google I/O 2010 in the Google Docs and Sites session. Video of the session can be viewed on the Google I/O YouTube channel (skip forward to 19:00).